CAMBRIDGE, Mass. (AP) — Transgender actress and activist Laverne Cox will be visiting Harvard University to talk about gender equity and stereotyping. ON STYLE: "If you come and ask me, 'I want to be chic,' There is little hope to become chic. Because there are peasants in the country who are beyond chic in their poor rags, and very rich women who are not chic in the most expensive dress." (to Net-a-Porter, 2012). NEW YORK (AP) — Gucci's creative director broke his silence Tuesday over an $890 sweater that resembled blackface, saying racism was never his intention. JACKSONVILLE, Fla. (AP) — A Florida-based company featured on the television show "Project Runway All Stars" is kicking off a new line of leather accessories as part of an effort to help survivors of human trafficking. LONDON (AP) — An American hip hop impresario and fashion designer was fined Thursday for sexual assault after pleading guilty in a London court. DETROIT (AP) — An exhibition of new works created by the artistic couple Ruben and Isabel Toledo is on display at the Detroit Institute of Arts. The exhibition titled "Ruben and Isabel Toledo: Labor of Love " opened this month at the museum and includes works created in response to pieces of the museum's permanent collection. It's scheduled to run through July 7. PARIS (AP) — Parisian couturier Jean Paul Gaultier has become the latest fashion designer to shun the use of fur in his designs. In a Canal+ interview that was aired over the weekend, Gaultier announced he would go fur-free "to get to a side of creativity that will not hurt, since the way animals are killed is absolutely deplorable." 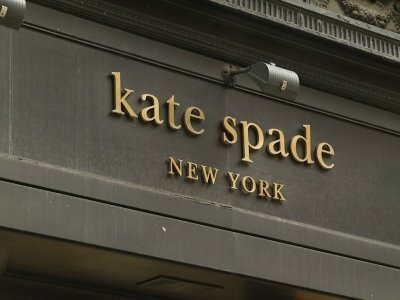 TAMPA, Fla. (AP) — A high school fashion teacher arrested last month on a single video voyeurism charge now faces 353 more charges after investigators said they found images of students in various stages of undress on his digital cameras, cell phones and thumb drives. NEW YORK (AP) — Next year's Met Gala will be downright campy. FORT WORTH, Texas (AP) — More than 100 items including dresses, gowns, suits, jackets and accessories — all in black — designed by famed Spanish designer Cristobal Balenciaga will be showcased in an exhibit at a Texas museum. One thing he's not so good at? Getting through an acceptance speech without choking up. NEW YORK (AP) — Designer Raf Simons scored a repeat win at fashion's glittery awards ceremony Monday night, again displaying his considerable influence in American fashion less than two years after taking the reins at Calvin Klein. "Thank you, women!" Simons said, accepting the prestigious womenswear prize of the Council of Fashion Designers of America from presenter actress Cate Blanchett. It was actually the Belgian designer's third CFDA award in two years; last year he won for menswear, too. The Order of the Alamo’s annual display of all things glittery and sparkly paraded through the Majestic Theatre Wednesday night, and it was a fashionista’s delight. This year was the Court of Classic Couture, inspired by fashion designers all over the world, including Coco Chanel, Alexander McQueen, Balmain, Gucci and Givenchy. Leading the glamour was Queen Josephine Tinsley Simpson, with Virginia Armstrong Seal, Princess of the Gardens of Glamorous Femininity, and 24 duchesses in the court. NEW YORK (AP) — An organization that protects the rights of models has called for action against outspoken fashion designer Karl Lagerfeld. Lagerfeld was quoted by a French magazine as calling models "stupid," ''toxic" and "sordid creatures." The April 12 interview on the magazine's website, Numero.com, also quotes Lagerfeld as saying models should "join a nunnery" if they don't want their pants pulled down during photo shoots. “Phantom Thread” was nominated for six Academy Awards and won the statue for Best Achievement in Costume Design. The film stars Academy Award-winning actor Daniel Day-Lewis along with Vicky Krieps in a truly dramatic story about a fashion designer in 1950s London. NEW YORK (AP) — Fashion designer Marc Jacobs is engaged. In a video posted on Instagram , Jacobs dropped to his knee at a fast-food restaurant in New York City on Wednesday night to pop the question to model Charly "Char" DeFrancesco after a flash mob danced to Prince's "Kiss." Dorian Butovitch speaks the language of flowers fluently. Though, most of his life, the blooms led the way. In February, the designer and owner of Central Park Flowers, Olyphant, worked with fashion designer Prabal Gurung to make a statement using flowers during Gurung’s fall/winter show at New York Fashion Week that stood in solidarity with the “Me Too” movement. PARIS (AP) — After just two seasons as creative director of Lanvin, the storied Parisian house has announced the departure of its designer Olivier Lapidus. Lapidus' designs for the brand since his surprise appointment last July were greeted tepidly by both industry insiders and the French press, for whom Lanvin holds a near-sacrosanct place as France's oldest existing fashion house. Fashion designer Jennifer Butler can’t watch the Oscars without mentally re-dressing the actors on the red carpet. Georgina Chapman insists she is "not a victim" of her estranged husband Harvey Weinstein. The 41-year-old fashion designer - who has seven-year-old daughter India and four-year-old son Dashiell with the disgraced producer - split with the former Weinstein Company chairman in October last year after he was accused of sexually harassing multiple female employees over a 30-year period. DURHAM, N.C. (AP) — Duke women's basketball player Erin Mathias turned the sideline into a runway — and her coach was the model. The starting forward for the 20th-ranked Blue Devils — and budding fashion designer — created the outfit coach Joanne P. McCallie wore during Monday night's 79-66 upset victory over No. 9 Florida State. "Obviously, it's magical," McCallie quipped afterward.